Update: As of August 1, 2017, I am no longer an active member of Data Semantics Lab, Wright State University. I am currently a faculty member at the Faculty of Computer Science, Universitas Indonesia. I was a postdoctoral researcher in the the Data Semantics Lab, working under supervision of Prof. Pascal Hitzler. I received my PhD in Computer Science at the Department of Computer Science and Engineering, Wright State University (WSU) in December 2015, also under Dr. Hitzler's supervision. My study has been supported by Fulbright Foreign Student Grant - Indonesia Presidential Scholarship 2010, as well as the TROn, OceanLink, and GeoLink projects. I obtained my Master of Science degree in Computational Logic from Technische Universität Dresden, Germany in the year of 2007. My Master's thesis was a study of data complexity for the EL-family of description logics. This work was completed under supervision of Dr. Carsten Lutz and was done at Prof. Franz Baader's Automata Theory Group. In addition, I am also both a lecturer and an alumnus of the Faculty of Computer Science, Universitas Indonesia. There, I obtained my Bachelor degree in Computer Science in 2002 and then joined as a faculty since 2003. As an undergraduate student, I worked under Prof. Benyamin Kusumoputro on face recognition systems. In the TROn research project, funded by the National Science Foundation, we investigate new ways to extend ontology languages around OWL without jeopardizing their basic computational complexity properties. In particular, we formulated nominal schema as a new description logic construct that enables a seamless integration of tractable fragments of Web Ontology Language (OWL) with Datalog rules while staying within the tractability boundary. Meanwhile, in the OceanLink and GeoLink projects, which are collaborative projects involving University of Maryland, Baltimore County, Wright State University, Columbia University, Marymount University, the Woods Hole Oceanographic Institution, and University of California Santa Barbara, we carry out exploratory research on applying semantic technologies to support data representation, discovery, sharing and integration. 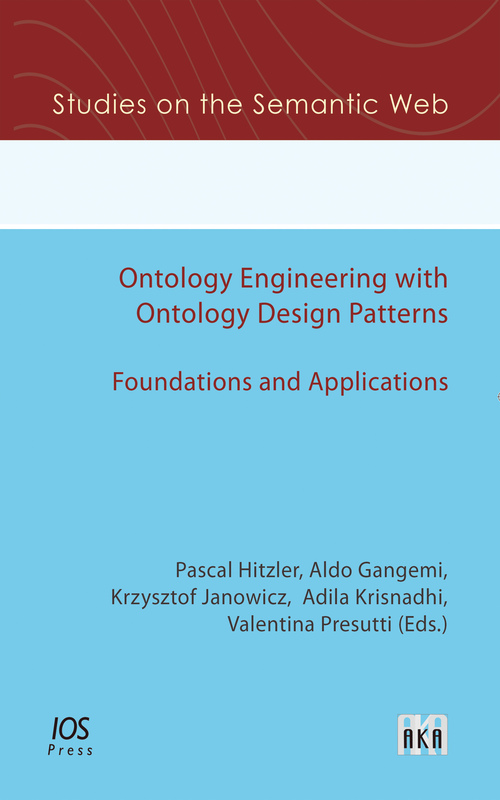 In both of these projects, I have been specifically involved as an ontology engineer employing a principled-approach of using ontology design patterns as a basis for semantic cyberinfrastructure components in support of the geoscience research community. During Summer 2012, I did a summer internship in IBM T.J. Watson Research Center. My mentor there was Achille Fokoue. In the past, I also had some work related to computational intelligence, and robotics. In addition, I was also involved in these projects: Quality Improvement for Education using Semantic Web-based Personalization Systems in the Student Centered E-Learning Environment (PI: Siti Aminah) and Adaptive Recovery of Information and Communication Network in Disaster Area using Robotics Technologies (PI: Wisnu Jatmiko). Both projects were funded by the Directorate General of Higher Education, Republic of Indonesia, in the year of 2009. EGR-199 - Introduction to Discrete Structures, Fall Quarter 2011. CS 2210 - Logic for Computer Scientists, Spring 2013. CS 2210 - Logic for Computer Scientists, Spring 2014. CS 2210 - Logic for Computer Scientists, Spring 2016. CS 2210 - Logic for Computer Scientists, Fall 2016. CS 7810 - Knowledge Representation and Reasoning, Fall 2016. CS 2210 - Logic for Computer Scientists, Spring 2017.